Does Your Dog Love His Name? When you say your dog’s name does he look at you? If he thinks the sound of his name means good stuff he should be happy to pay attention to it. Just as dogs learn to associate a word with an item or an action, they will form an association with their name. We know our name is who we are but to your dog it is probably just another word. Just like any cue, his name can be “poisoned” by bad associations. If he often hears his name said in an angry, impatient or harsh way he could feel the same way about his name as he does “No!”. So how do we teach a dog to love the sound of his name? 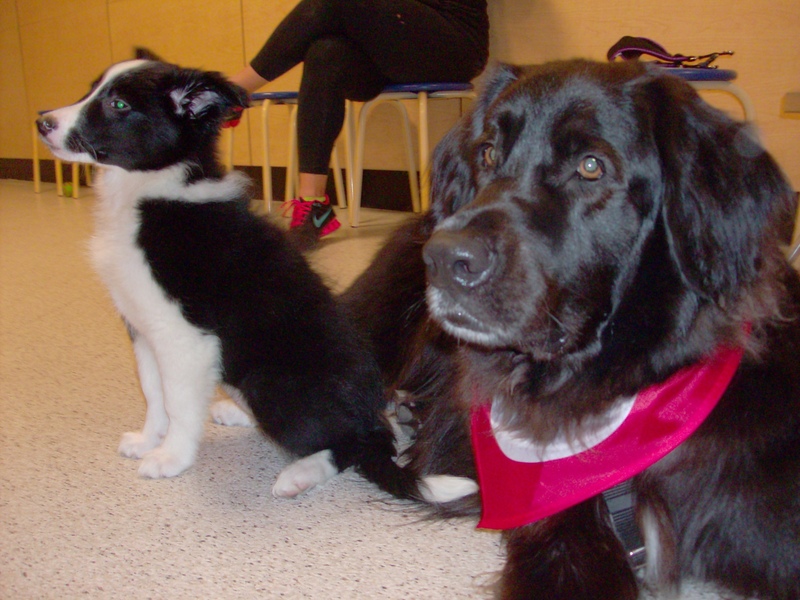 The first day of puppy or beginner class we introduce the dogs to the clicker so they learn that click means treat. The first exercise we do is to say the dog’s name in a happy tone and click and treat for eye contact! The goal is to teach them that their name means good stuff. If you practice rewarding for eye contact at the sound of his name and then slowly increase the distractions when practicing, your dog will look at you whenever you say his name. Even if your dog is not a puppy you can do this to change the association he has with his name. If your dog doesn’t respond to his name, it is difficult to get his attention to ask him to come or sit or anything else. When you say your dog’s name and get that whiplash head turn, you know he has learned to love the sound of his name! Beautiful post Linda. Simba knows his name but we have so many endearing names for him and he responds to that too. 😆 Simba Chippie, Chippie, Baby, and Angel. Never thought of a dogs name in this way. If you want a dog to like you and come to you you have to be nice.